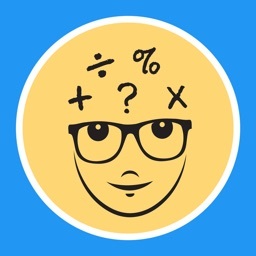 Are you searching for a math quiz game for your kids to practice basic math operations? 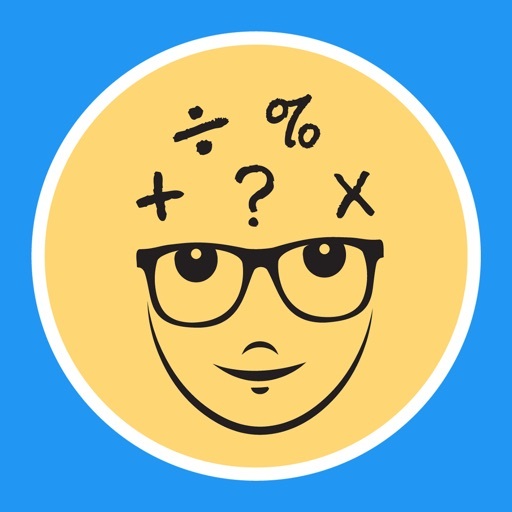 Or you are searching for an app that offers mathematical, general aptitude, reasoning and logical puzzles to speed up your calculation skills for your next competitive exam? 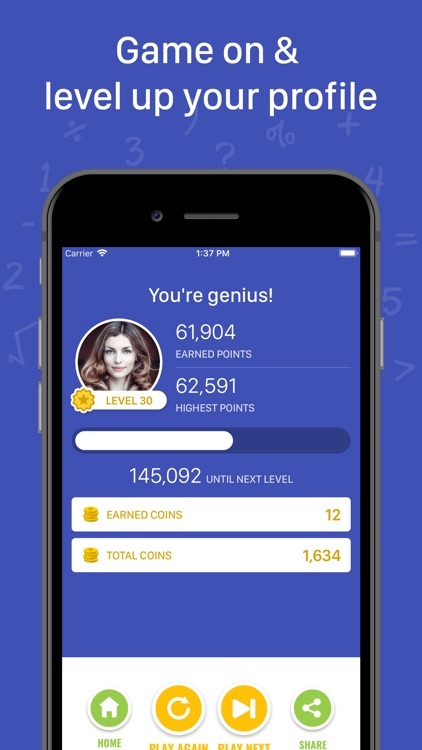 Or you are a math expert searching for a brain game to give your brain a workout? You've come to the right place! 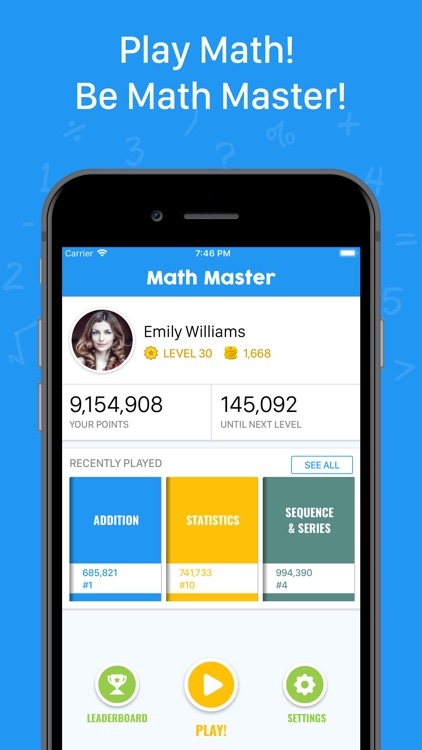 Math Master is a free math quiz app offering a great set of challenging math quizzes and various math tricks to improve your mental math. 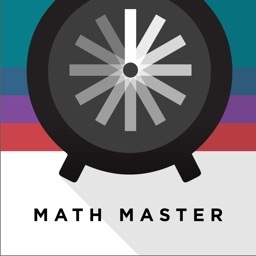 Math Master can be a great source of learning for your kids studying in kindergarten, preschool or elementary School. 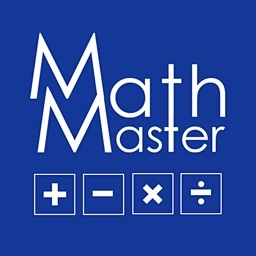 For high school students or college graduates, it can be a math practice tool to crack competitive exams. 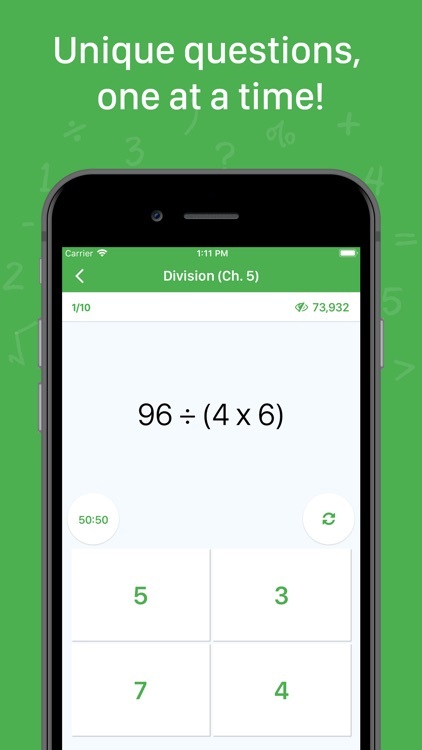 It lets you play math quizzes of basic arithmetic operations like addition, subtraction, multiplication, division or statistics like average, mean, median or complex math concepts like sequence and series. 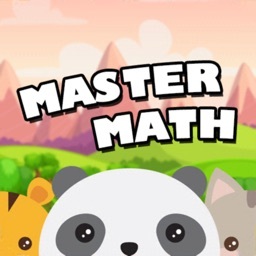 Solve challenging math puzzles and be Math Master! • It’s completely free and designed for all ages! 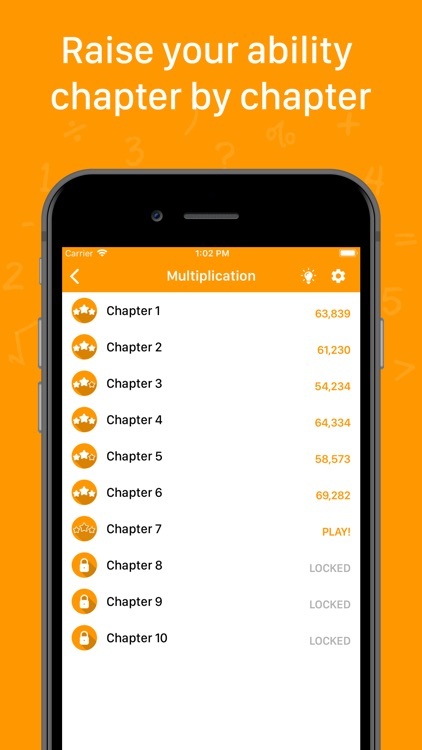 Each book consists of 10 unique chapters with increasing difficulty levels. 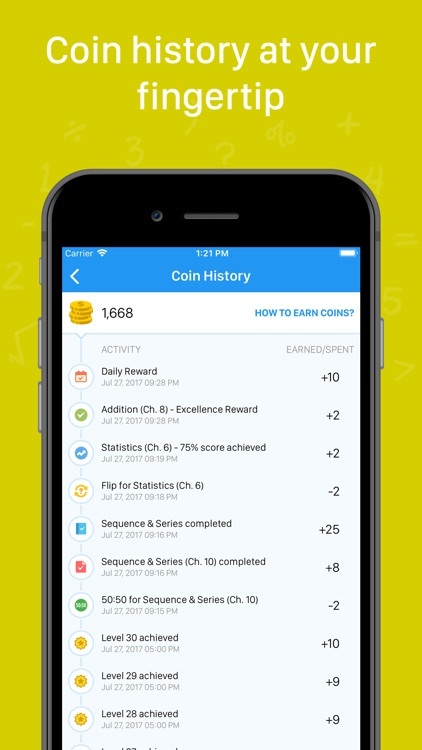 Start playing and raise your game score chapter by chapter. 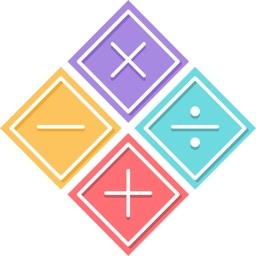 Unique random math quizzes/puzzles will be presented to you depending upon difficulty level of chapter. 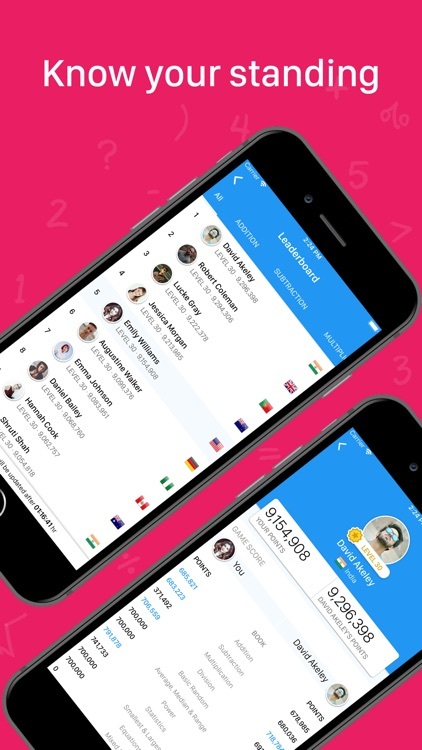 You can flip or change one question per game. 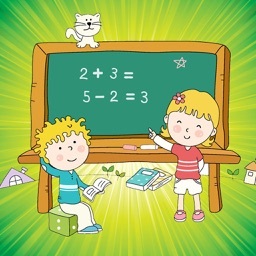 Want to learn how to crack complex math quizzes to earn more points? Go through Tips & Tricks! Is it hard for you to finish game within limited time? No worries! 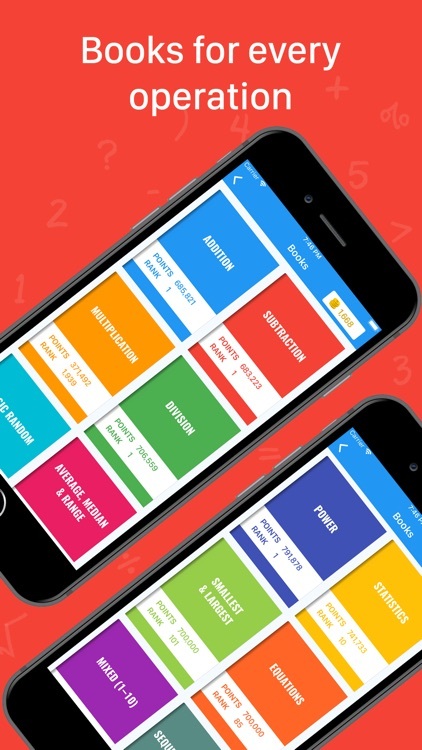 We’ve 5 quiz timer modes for you. 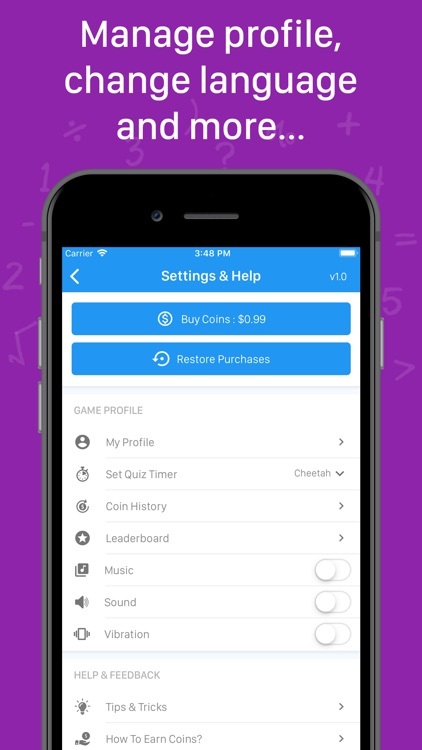 Just go to Settings > Set Quiz Timer and set as per your math expertise. Don't forget to Rate/Comment & Share!